There may come a time in your life when you are no longer satisfied with your home in Fountain Hills, Arizona, or a surrounding area. If that time is approaching for you, turn to the design and build professionals at Legacy Design Build Remodeling. We proudly serve the area with over 40 years of experience as a leading full-service residential remodeling company. This means that we can provide you with professional room renovations, outdoor living area reconstructions, and from-the-ground-up custom room additions. Each of our projects begins by scheduling you for a one-on-one consultation where we will discuss all of our available options and the dreams you have for your project. 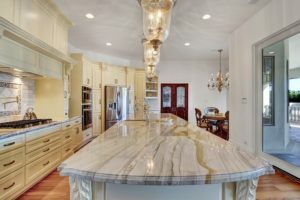 Our team is backed by Dreamstyle, the 12th largest home remodeling firm in the country, so you can feel comfortable knowing that your home remodel is being completed by seasoned professionals. For more information about the home remodel options that we offer to homeowners in Fountain Hills, AZ, and the neighboring areas, contact Legacy Design Build Remodeling today. One of our qualified designers will happily answer any questions you may have about your upcoming project.